The abbey’s bells rang out triumphantly to celebrate the safe return of the Pluscarden Pilgrims. It was an emotional moment when, following 13 weeks of walking, they finally arrived on a beautiful sunny day. 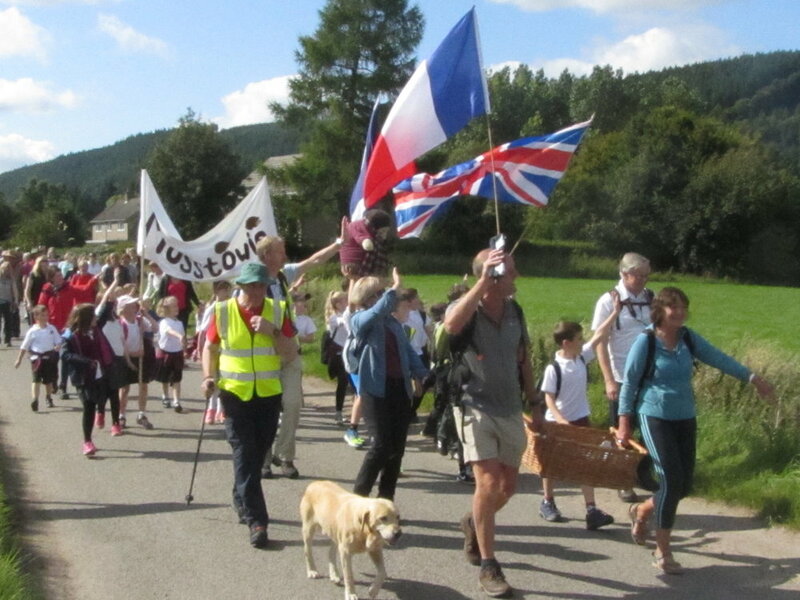 21 pilgrims set off from Logie in the morning, gathering another 30 at Rafford, 6 miles from Pluscarden, including children from Mosstowie primary school, and another 30 a mile from the abbey. 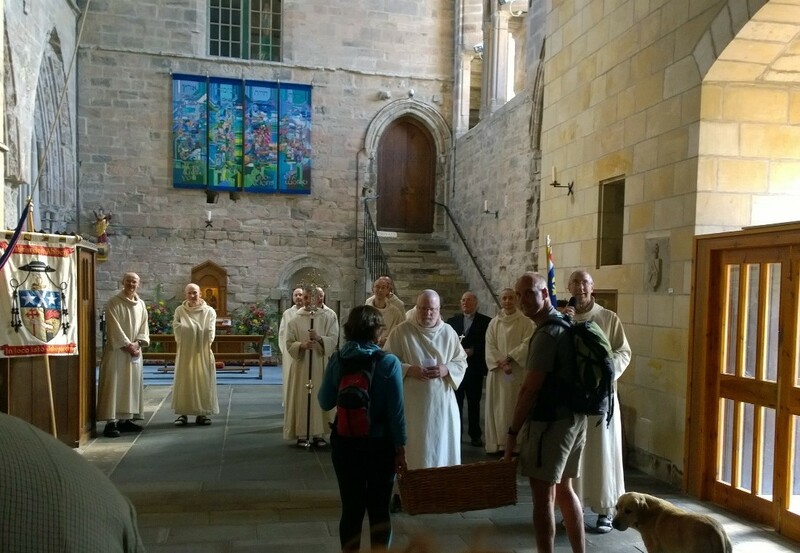 A wonderful and happy procession arrived at the abbey gates which had been beautifully decorated with flowers. 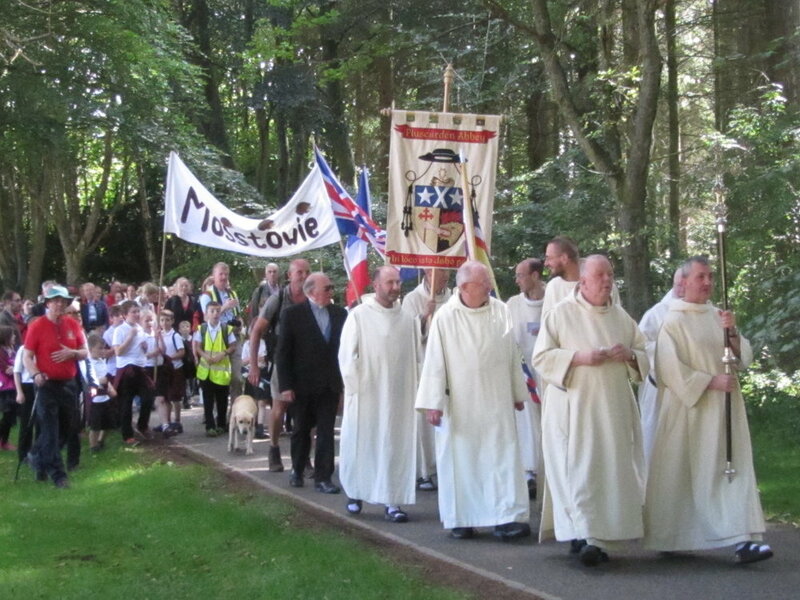 Welcomed by Father Abbot and the Pluscarden community, the gates were opened and the procession walked up the drive behind the Pluscarden Abbey banner, with the children carrying flags from all countries passed through on the pilgrimage. 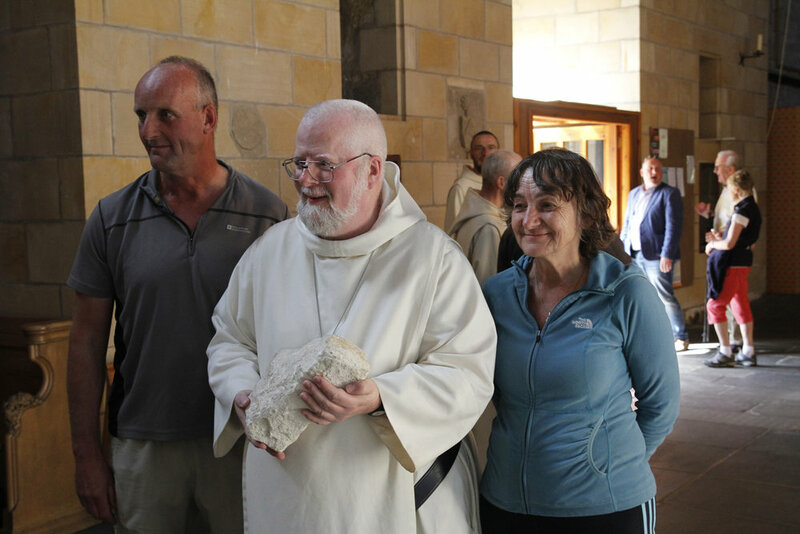 There was a very poignant ceremony in the abbey to hand over the foundation stone for the new South Range, carried all the way from Val-des-Choux in Burgundy, with blessings from the Father Abbot and Archbishop Mario Conti. Prayers were said and, following some Gregorian chants, a message of congratulations was read out from H.R.H. Princess Michael of Kent, royal patron of the pilgrimage. The abbey then invited everyone to enjoy a splendid lunch. 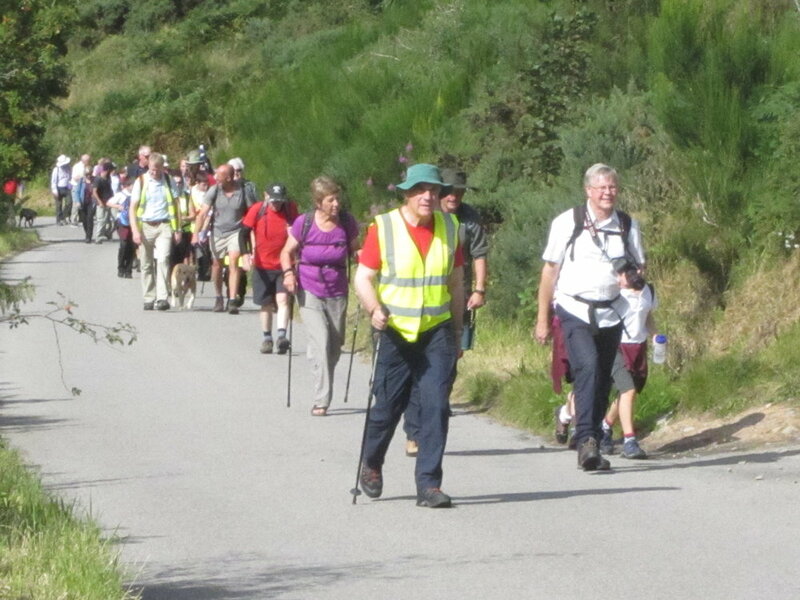 In all it was a very memorable and moving occasion, lovely that many pilgrims from earlier weeks were able to join in on the final day, and wonderful that many lifelong friendships have been formed along the way. 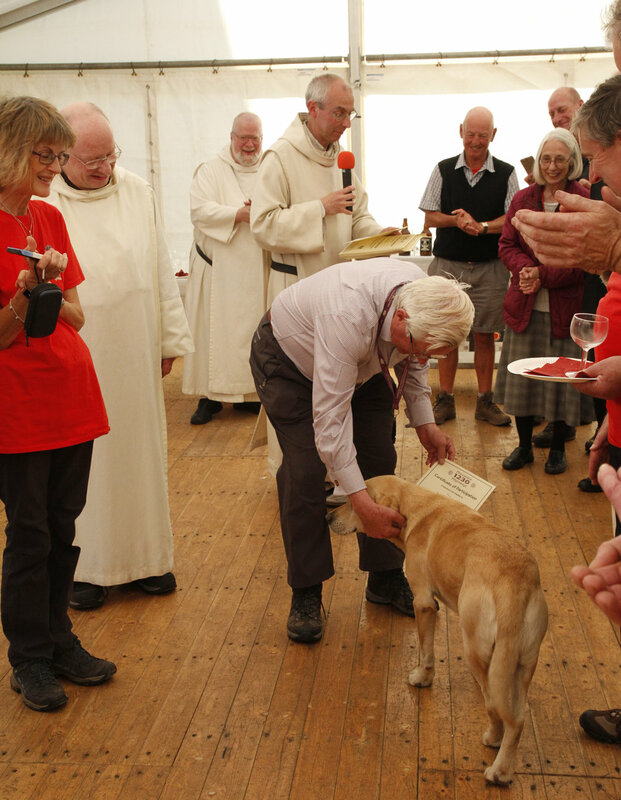 Those present who had participated in any way in the three month long Pilgrimage, pilgrims, volunteers and monks alike, each received a certificate, presented by Grenville Johnston, Lord Lieutenant of Moray, including Rinnes the dog who completed the entire journey of around 1230 miles from Val des Choux in Burgundy to Pluscarden.